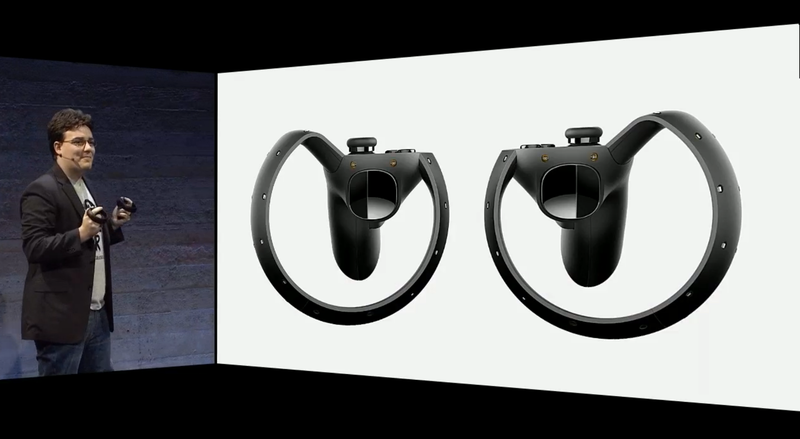 In addition to an Xbox One controller, Oculus has designed a proprietary controller for the Rift: the Oculus Touch. Touch is a set of handheld controllers that let’s you do what Oculus says comes naturally, which is reach out and interact with your VR environment. Oculus says Touch was developed because of the way people naturally use VR; when users put a headset on for the first time, they tend to reach out with their hands to explore the space around them. Because the Rift won’t scan your hands to find out what you’re trying to do, Touch will let you use your hands in VR as you would in the real world. You can pick up a weapon with one hand and fend enemies off with the other, for instance. 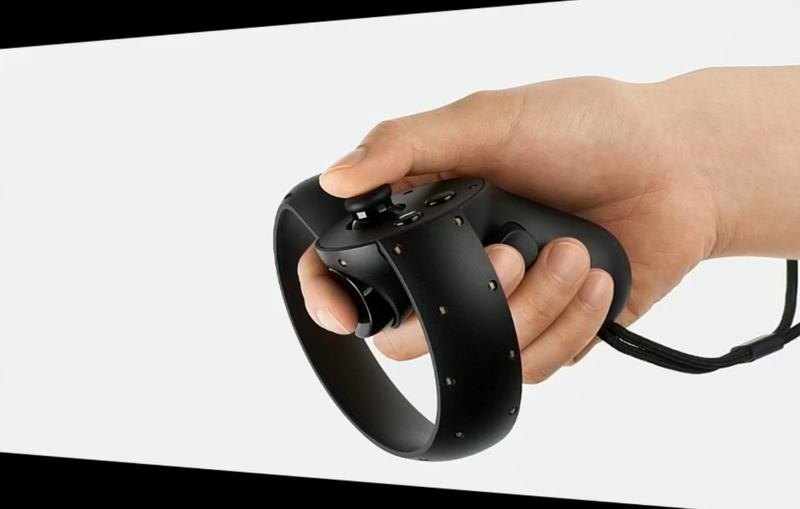 Oculus designed Touch to accept precise manipulation of objects, and recognize hand gestures like a wave. While you’ll need to keep your hands firmly planted on Touch, raising and waving it would be considered a VR wave, so to speak. On the Touch you’ll find a thumb grip and trigger mechanisms that mimic traditional game controllers we’re used to; the thumb grip falls under your thumb (obviously), and your index finger rests on the main trigger. A set of buttons rest next to the thumb grip, and a secondary trigger sits on the handle under your middle finger. Like much of what was show off today, Oculus will have Touch available for demo during E3. Touch is still in the prototype phase of development, so there’s no pricing information yet. Hopefully, it’ll arrive alongside Rift’s expected launch in Q1 of 2016.